Taking a trip back to my family's roots (Brownes and Guerins) I went along to the Caherconlish Christmas Craft Fair today. A really great fair with load and loads of stalls and a huge variety or things for sale. The fair was to raise funds for St Gabriels School. Santa and Mrs Claus arrived in style on a Harley! There was a very good attendance and all who were there enjoyed the wide variety of goods available across the two halls. The Slide show is below - Click on any picture to get the option to download it. It may not quite be December yet but Santa is getting ahead of the rush and making sure that all the boys and girls get a chance to see him at the Parkway shopping Center. Arriving in style in a snow white Merc (No recession at the north pole I guess !) Santa and Mrs Claus were piped into the center to the wating crowds of Kids. The event was well organised as we have come to expect from the managment and staff of the parkway and Fran O'Donnell from Futureama Productions took a break in the planning for Limerick on Ice to provide an amazing Confetti Cannon to make sure things were suitably Christmassy with some indoor pink snow! much to the delight of all the kids (and adults!). Christmas Music was provided by Local DJ Richard Smith. After meeting and greeting with the Kids Santa amd Mrs Claus made their way to the grotto stopping by the Limerick Guide Dogs for the Blind who were selling their Christmas Calender and the New Charity CD from Eoin Hand [ available online here ]. There was already quite a queue or people waiting at the grotto so Santa quickly made his way in and got the job of meeting all of the kids under way. Well I guess nothing lets us know that Christmas is not far away better than the arrival of Father Christmas! Click on any photo in the slideshow to download it. Well I finally made it out of Limerick to visit one of the farmers markets from slightly farther afield this morning. After a misty and cold start things had cleared up when I arrived in Charleville. The market is very easy to find and is located in the corner of the main car park so access is not a problem! A really nice collection of stands and again the flooding had reduced the numbers and selection slightly but I was still impressed with the quality of products available. My first stop was with Eileen Toomey from Banamore Cottage Garden, who has a range of fresh herbs on offer as well as a selection of home made preserves, Jams and Jellies and after having sampled the hedgerow jelly I can testify to the taste and quality of the product! Next door was Jenny's Catering offering sausage baps pancakes and a selection of other hot food, which with the weather being as cold as it was was much in demand! Liz Slattery from Pink Sugar was selling an amazing range of cakes buns and other sweet treats to tempt the passerby and just the sight of some of those perfectly produced home made sweet things twisted my rubber arm! I am in danger of being slapped with a restraining order at this stage if I meet The Old Creamery or Ballyhoura Apple people again! But I really am becoming addicted to that Apple Juice!! There was a real family presence on the Ballyhoura stand with Maurice, Ciaran and Stan Gilbert dishing out delicious and sweet mulled Apple Juice Mmmmmm! Sean Daily had his wide range of fruit and Veg on display at the Market Garden stall and Vincent Daily from West Coast Seafood was next door. The Final stall I visited was belonging to Brigid Collins of The Bakers Basket. Again a delicious range of baked goods which are preservative, yeast and additive free! The Charleville market has a lot to offer and I thoroughly enjoyed my visit to Co. Cork. Football legend and commentator, Eoin Hand was in Dolans this evening for the Limerick launch of his CD "After The Ball" Eoin and Musicians Mickey Mc Connell and Jim Gornall treated the crowd to a few tracks from the CD. Eoin’s love for music and singing started at young age during a time when his mother owned The Brazen Head in Dublin. Mickey MacConnell, renowned musician and famous for writing ‘Only our rivers run free’ helped to produce the live recording at John B. Keanes pub in Listowel. Eoin Hand’s CD is a the live recording and features a collection of favourites such as Working Man, Dublin in 1962 and the Voyage as well as some anecdotal commentary. Eoin is most fondly remembered for his role as Manager for the Irish Soccer Team in the early eighties as well as a player-manager with Limerick during which time he lead the team to victory in both the League of Ireland and the FAI Cup. He spent most of his working career with Portsmouth, while also playing for our national team some 20 times. Explaining how this all came about, Eoin says; ‘This wouldn’t have happened without Mickey MacConnell, renowned musician and famous for writing ‘Only our rivers run free’. My mother had asked through Pauline, my wife, if he could make up a collection featuring me singing some of her favourite songs. This lead to a very enjoyable live recording in John B. Keanes pub in Listowel and sparked the idea to release it to the public for charity. It seems a fitting tribute to my mother, Monica, who past away in May of this year. The CD is available to purchase online - [ Here ] and the proceeds will go to Guide Dogs for the Blind. This Saturday November 29th, Santa will arrive to Parkway Shopping Centre, accompanied by a host of seasonal friends, including Mrs. Claus and their elves! Watch as he parades through Parkway Shopping Centre before taking up his place in the Grotto. Enjoy seasonal music, with face painting, balloon modellers and a host of other surprises and family entertainment from 1-5pm. All are welcome to come along and enjoy this magical day. I will be there taking some photos and will post the slideshow up here Sat afternoon. A firm favourite with the children, Santa will be waiting to meet all the local children in his Grotto before departing for the North Pole on Christmas Eve. For all your Christmas Shopping, make it a Parkway Shopping Centre Christmas. At Parkway Shopping Centre you’ll find more than just top labels, free parking and longer opening hours … as this year we’re offering a free gift advice service and also charity gift wrapping in support of Milford Hospice and Irish Guide dogs for the Blind. Christmas will kick off in style on Saturday 29th, come down and join us, don’t miss out on this magical event! I took a trip in to the Georgian Market in town today, I was located in Pery Square and No1 Pery Square Hotel and Spa in Limerick’s historic Georgian area was to host to a unique market with picturesque stalls offering traditional handcrafted gifts including jewellery, toys, Christmas cards, dolls and candles. Traditional foods, Christmas puddings, meats, sweets, breads, pastries and other festive goodies were also on offer complimented by artisan cuisine and organic produce from Slow Food Limerick. A truly continental atmosphere was conjured up by the lights, sounds and smells of this unique spectacle while children from St Michael’s School were along later to sing traditional Christmas carols to add to the occasion. The Limerick Georgian Quarter Christmas Market is open during Winterfest from between 12-5pm on Saturday and Sunday, November 21st and 22nd. Local artists also displayed their work during the Christmas Market opening times on the railings of Limerick’s award winning People’s Park for “Art on the Park” and unique art gifts will be available to purchase. FREE parking, Christmas Markets, Shopping Specials and much more! Limerick City Centre will kick-start the festive shopping season with a Winterfest weekend packed full of reasons to visit the capital of the Mid-West this Christmas! Local sporting hero, boxer Andy Lee joined Mayor Kevin Kiely and the people of Limerick to switch on the city’s eco friendly Christmas lights and Ireland’s tallest Christmas tree (a HUGE 100 ft!) will be delayed slightly due to it breaking free from its moorings. It is hoped that it will be on by Sat evening. FREE on-street parking on the Saturday of Winterfest weekend (November 21st) and participating shops, pubs and restaurants displaying a special Winterfest sticker will offer unique bargains, Christmas specials and up to 50% off purchases! Some multi storey car parks are also offering great value Winterfest parking deals with over €3000 worth of vouchers available for Q-Park Harvey’s Quay carpark from participating Winterfest stores. Shoppers will also be able to enjoy the feel of a small village within the heart of bustling Limerick this festive season as the city opens Ireland’s first ever Georgian Quarter Christmas Market. No1 Pery Square Hotel and Spa in Limerick’s historic Georgian area is set to host a unique market with picturesque stalls offering traditional handcrafted gifts including jewellery, toys, Christmas cards, dolls and candles. Traditional foods, Christmas puddings, meats, sweets, breads, pastries and other festive goodies will also be on offer complimented by artisan cuisine and organic produce from Slow Food Limerick. A truly continental atmosphere will be conjured up by the lights, sounds and smells of this unique spectacle while children from St Michael’s School will sing traditional Christmas carols to add to the occasion. The Limerick Georgian Quarter Christmas Market will be open during Winterfest from 3.30pm-7pm on Friday November 20th and between 12-5pm on Saturday and Sunday, November 21st and 22nd. Local artists will also display their work during the Christmas Market opening times on the railings of Limerick’s award winning People’s Park for “Art on the Park” and unique art gifts will be available to purchase. Winterfest will be extensively promoted throughout the Mid-West in a campaign run by the Limerick Co-Ordination Office which is funded by Limerick City Council and Shannon Development. Eoghan Prendergast, Shannon Development’s Limerick Development Manager said Limerick is renowned as a great visitor destination. To support this and other initiatives Shannon Development is mounting a promotional campaign in both the press and radio media highlighting the great offers to be got in the run up to Christmas. Mayor of Limerick, Cllr Kevin Kiely, said the city’s Christmas Lights and 100ft floating Christmas tree are particularly environmentally friendly this year. “All the main features of the city’s beautiful Christmas decorations are powered by low energy, low voltage bulbs which represents a huge energy saving,” he explained. “This means there will be a 75% saving on the running costs on the city’s bridges alone where there are almost 4000 LED bulbs. Limerick’s 100ft (30.5m) ‘green’ tree is made from salvaged steel from major local building projects, including the re-development of Thomond Park and the Shannon Tunnel. It was designed by White Young Greene Consulting Engineers. A Winterfest Market will also take place in Thomas Street on Friday, November 20th between 11am-7pm and between 9am-4pm on Saturday with a full programme of live music while local band Idol Bones will keep shoppers entertained throughout the day in Arthur’s Quay shopping centre. The ever popular Saturday Market will take place in Ellen Street between 8am-2.30pm while the Milk Market area is being re-furbished and the Sunday Riverside Market in Bedford Row (12-5pm) will take place for Winterfest weekend and every weekend leading up to Christmas, showcasing the very best of Limerick’s creative talent as well as providing live entertainment and culinary delights. Don’t forget to keep an eye out for Limerick’s friendly Street Ambassadors over Winterfest weekend. With the tallest Christmas tree in Ireland, a wonderful display of festive lights and the perfect mix of traditional and new businesses taking part in Winterfest, Limerick city centre is definitely the place to shop this Christmas! Photograph of Limericks Christmas Tree hitting the Bridge today. The 100ft Christmas that was to be the centerpiece of the Limerick winterfest broke free when being towed into position today in strong current. Despite the valiant efforts of those positioning the tree it collided with the Bridge and was damaged. 45 degrees and efforts are currently underway to right the free. Kilmallock's Deebert Hotel was the Venue This evening for an Event sponsored by Limerick County Enterprise Board and Ballyhoura development. "Stepping Out" was an evening for Women involved in business and was an opportunity for networking and to hear an excellent talk from Paula Clarke called "It's All About You!". Paula is a regular Trainer and Mentor with the LCOEB and her insights and ideas on the importance of positive mental attitude to running your business are inspirational. Several local business were also present to showcase some of their products including Morningstar photography who were showing some of the fantastic family portrait and Wedding photography packages they offer. Old Irish Creamery were also on hand with a selection of Cheeses and Ballyhoura Apple Farm had their juices and cider vinegar available also. Outdoor Kidz also had their very appropriate for the season, kids rain wear range on show. Other Businesses also had information available on the services they had to offer. from Ballyhoura Enterprise and Agnes Relihan from Limerick County Enterprise Board. Limerick Party Supplies and Children’s Party Supplies Company launches new website. Online shops for anything party related. From Balloons to party pinatas and decorations for all seasons and any major event. So if you are planning your 18th birthday to your 50th Birthday they offer the most extensive range of competitively priced products in Ireland. Limerick is the location for Ireland’s first-ever Georgian Quarter Christmas Market. No 1 Pery Square Hotel and Spa in Limerick’s historic Georgian area is set to host a unique market with picturesque stalls offering traditional handcrafted gifts including jewellery, toys, Christmas cards, dolls and candles. Traditional foods, Christmas puddings, meats, sweets, breads, pastries and other festive goodies will also be on offer complemented by artisan cuisine and organic produce from Slow Food Limerick. The Limerick Georgian Quarter Christmas Market will be open from 3.30pm to 7pm on Friday, November 20, and noon to 5pm on Saturday and Sunday, November 21 and 22. The market is supported by Shannon Development in association with Slow Food Limerick. Patricia Roberts, of No 1 Pery Square Hotel, said: "This is the perfect opportunity to showcase Georgian Limerick at Ireland’s first Georgian-themed market. Our Christmas market will feature Ireland’s finest food, arts and crafts and lots of gift ideas for the festive season." John Crowe, Shannon Development’s Limerick projects and promotions manager, said: "This is an important new initiative for Limerick which Shannon Development is delighted to be associated with. Limerick’s Georgian Quarter is an important part of the city’s history and contains many important tourism attractions including The Georgian House and Garden, Limerick City Art Gallery, The People’s Park and No 1 Pery Square. This initiative is aimed at encouraging seasonal breaks to Limerick and showcasing our history in an innovative way." Jenny Allen, of Slow Food Limerick, added: "We’re delighted to have this fantastic opportunity to showcase our artisan products and highlight the variety of top-quality produce available." The Wedding Experience at the Adare Manor has been lovingly created for you. Experience the essence of love with old-fashioned charm that this spellbinding castle breathes. From a string quartet and champagne reception to gourmet sample wedding menus, specially created with lovers in mind, you will discover the unmatched elegance of the Manor. Join us on the 29th of November as we show you how imitate your day will be. Be inspired at Adare Manor with a tour of the grounds in our horse drawn carriages, champagne & canapés, live entertainment throughout the day, advice from our dedicated wedding planners, top vendor showcases along with food and wine tasting. Enjoy an expert talk and discussion lead by USA wedding planner to the stars, Tatianna Byran Marx and a Questions & Answers session with Head Chef, Mark Donohoe*. Round off this fantastic day with a spectacular fireworks display. 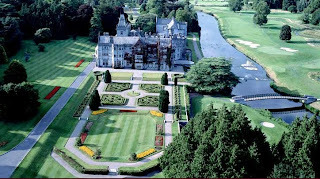 Simply visit us online at www.adaremanor.com to register they will send you a complimentary invitation for two to attend this exclusive event. ** This rate is only available to guests attending The Wedding Experience, please make your reservation by telephone on 061 396566. Rates are subject to availability. Find out all you need to know about having your Wedding in Adare. I was out at the University Campus Today for the Festival of Science, It was a great Day out for all the family, with plenty to do and see. Live 95FM were there with the Shadows and JP was reporting in live from the show. Slide Show is below. The University of Limerick, in association with Forfas under the 'Discover Science and Engineering Programme, has planned an exciting programme of events which will appeal to all ages for the Limerick Festival of Science, Engineering & Technology on Sunday 8th November 2009. The Festival is intended to be a show-case for industry providing an opportunity to promote science and technology, especially to those deciding on future careers, and to provide an entertaining and educational day out for all. In common with other third level institutions, the University is concerned by the significant decline in numbers of second level students electing to study science and the long term consequences this will have in meeting the national capacity to satisfy demand for skilled workers for the economy. A primary objective for Science Week is to convey to the general public, and particularly, young people the fascination of science, it's importance in so many aspects of everyday life and the exciting, rewarding career opportunities that exist in Irish Science, Engineering and Technology-based industry. We are particularly delighted to be running the very popular School Poster Competition the "Science in our Life" for primary and secondary schools with the winners being formally announced at the Festival, a major highlight of the Festival. The schools poster entries will be displayed at the Festival and the winners will be announced during the event. In celebration of International Year of Astronomy a special prize will be awarded for the best entry with an Einstein focus - sponsored by the Institute of Physics. Limerick Festival of Science, Engineering & Technology is intended to be both a showcase for industry and an opportunity to promote science, engineering and technology, but also feature many events and attractions designed to provide a fun-filled yet educational day for all the family. The Limerick Festival of Science, Engineering & Technology will consist of interactive stands and displays from industries and organisations and will also include interactive exhibits devised by the University's science, engineering and technological departments and associated clubs and organisations. The emphasis in the displays is on presenting the most up-to-date and interesting applications of science and technology in our life and will provide an informative and enjoyable event for young and old alike. There will be a series of parallel demonstrations and lectures including Dr Peter Douglas's famous Chemistry and Light Show demonstrating how light can be generated electrically, thermally and chemically and how light might be used to solve two of the most important problems facing mankind i.e. the production of clean water and clean energy; Dr Ian Russell's live demonstration of exploding custard and Dr Andy Newsam will take you on a trip through Space with some Star Gazing and Planet Watching; Sue McGrath is back again this year due to popular demand with her exciting flame show while Sarah Hayes will baffle young and old with Chemistry Magic. Would you like to know how soap is manufactured? How can ordinary cooking oil be converted into a fuel for commercial use? How does suntan lotion really work? These are just some of the demonstrations you can expect to see. The afternoon will have many live displays - plans are in place to have the Army Ordnance Corps showing how they use robots to detect and dismantle explosive devices; in addition the Air Corp, Fire Services and Civil Defence will demonstrate the latest in technology; located in the Plaza area will be a Flight Simulator, which uses sophisticated technology previously developed for the training simulators as used by pilots and astronauts, to provide a unique entertainment that allows people to enjoy a virtual flight experience; the Simulator incorporates sound, vibration, acceleration and braking forces, thrillingly correlated with " eye view" film, to create an illusion so much much more . ADMISSION IS FREE - SO COME EARLY! For further information email Vicky.Kelly@ul.ie University of Limerick. I was at the Show Today and the slideshow is below. I will write up a more detailed list later but it was well worth the visit lots of different stands for anyone interested in doing some work on their home and a nice mix of the usual gadget stands. Self Build & DIY – Extending – Improving – Renovating and Cost saving Green Energy. It will be your one stop shop for information and resources for anyone planning to build a home or thinking or improving their home, all under one Roof! Family day is Today with Barney, Bob the Builder and friends. Admission – Adults €10 Children Free. On what turned out to be the most atrocious day for weather in weeks I went along to the Farmers Market at the Crescent Shopping Centre today. Easy access and exit to all of the stalls. With an extensive range of sweet and savoury fillings available it’s a perfect treat or quick snack! Marks Cheese was next Door with an eclectic collection of Cheeses meats and Salami. Next Door was the stand from Ballyhoura Apple Farm with fresh Apple Juice and Apple Cider Vinegar on offer. It was a good day if you are a cheese fan ( and I am !) as next to Ballyhoura was the Old Irish Creamery stand. They have been heaped with acclaim and awards in the last 12 Months with both national and international awards in fact it now runs to over 14 awards in the last Year! They have an extensive range of Cheeses from Irish Whiskey and Red Wine to Blueberry and my personal favourite Chilli Cheese! With loads of samples available I went away happy! Colette O’Farroll’s Stand is called Nature’s Bounty and her Curraghchase Relish has to be tasted to believed. First developed to suit her Neighbour in Curraghchase Caroline Rigneys Free Range Pork it has proved to be an award winning success! Not stopping there Colette has extended her product range to include Jams and Chutneys and I have to say I give them the thumbs up! I also sampled her rind less Marmalade Yum!! And who has the stand next door but Caroline Rigney from Curraghchase Meats, Caroline has had amazing success with her Free Range Rare Breed Pork products and the distinctive and amazing smell from her rashers cooking would drag any house from their slumber and to the breakfast table. She produces Black Puddings and pork burgers as well as pork cuts and despite the weather her stock was flying off the stand. Caroline says that she finds that they get an amazing amount of repeat business from people who have tasted their products. And I have to say having had breakfast at the Farmhouse B&B in Curraghchase that Rigneys Farm has the most amazing breakfast I have ever had! With what has to be one of the best names I have come across in a while John Collery and Garreth Granville of “ Licence to Grill “ will cater for you empty belly with gourmet breakfast baps and Steak Sandwiches made to order. Speaking with John he says that they try and use as much of the products from neighbouring stands as they can for the eggs bacon salad and sauces. The result is mouth watering and the smell was dragging people in despite the showers. The next stall was a dieter’s nightmare with Pauline’s cream filled cakes buns and homemade baked goods leaving me drooling. Only the smell of the coffee coming from Dara Byrne’s Golden Bean Coffee Company stand pulled me away. Offering Latte, Espresso, Mocha and lots of other caffeine fuelled concoctions. For those who suffer from intolerance for Wheat and Gluten Then Mary O’Doherty’s celiac certified products would provide a welcome change. Offering a range of products from breads to tarts they offer a tasty treat without any risk of allergic reactions. Back on familiar territory next door with David Mc Caffrey from Sallymills bakery with his usual extensive range of baked goods including breads scones and a range of Christmas Puddings. For the carnivores among us, Quarrymount’s stand manned by Ray Dunn offered a selection of free range meat and Eggs. Maurice Hannnon also had a selection of Wheat and Gluten Free products on his stall. Next door was a selection of gourmet pies from Steven Neillings and Brid Ni Mhathuna from Piog Gourmet Pies, with fillings like Beef and Guinness, Salmon and Haddock and Kerry lamb and Vegetable on offer. Trevor and Dawn Mc Namara from Ballycotton Fish provide an amazing selection of omega oil rich fish products and will prepare them for you on the spot. And so far Trevor still has all his digits! Next door taking care of all your Vegatable requirements was Gerard Fenniman from Kiltanna Produce with fresh Veg straight from the ground to the market. Gerard is a regular attendee of the Newcastle west Market on Sat Mornings. Around the corner and another treat for the Caffeine addict with Brona Martin providing a fix from a wide selection of coffee beans and an extensive range of Teas as well. And next door as a perfect accompaniment to your breakfast fry up, some gorgeous Mushrooms from “ Mushrooms from Tipperary “ with a wide selection of stuffed mushrooms and a tasty and popular mushroom pate on offer to sample. For those brave enough to face the elements then M&G Mc Namara stall had a great choice of plants and shrubs on offer. And last and by no means least (and a pure coincidence that I always finish at the Chocolate stands..... ;-)) was Chocolates by Patrick, as a fully trained and qualified chocolatier Patrick Rahilly offers a select choice of handmade chocolates and mini muffins made from blackberries picked in season. With a mouth watering range of fillings his chocolates are a feast for the eyes and the belly! Overall I have to say that the choice and variety of produce available makes this a very worthwhile market to visit. With parking easy to find and also the option to do your other shopping at the same time as picking up a bargain or just a delicious snack you can’t go far wrong with the Crescent Shopping Centre Farmers Market. Open every Wed from 9:20 to 2:30 in the car park near Mc Donald’s. Established as an initiative of the University of Limerick Environmental Committee over a year ago, the farmers market at UL boasts a wide variety of vendors. It is held in the students union courtyard every Tuesday from 12 to 5:30. The popularity of the market with both students and staff was evident today as despite the intermittent heave rain showers the flow of customers was steady. The stalls onsite today included the following. Sara Woulfe – El Chilli Loco - Serving a deliciously spicy selection of salsas Pickles and Sauces, as well as amazing homemade soup, Just the thing for students in a hurry! Next Door was Marion Roelevid from Killeen Farm with a wide selection of Goat and cow’s milk cheeses with a delicious choice of flavours on offer. Peter “The Pie Man” Gibson offers a variety of... well Pies I guess! But no boring soggy ham and chicken here instead a selection of Duck Pies Dry Cured Bacon and Courgette, and Beef and Guinness were the order of the day. I can’t see any students coming home to Mum complaining of not eating with delicacies like these on offer! For those with even more adventurous taste buds Tom Gems was producing fresh Sushi and I have to saw i was licky to get a photo of a full plate with the speed that this stuff was disappearing, It’s a long way from the curry chips I had to sustain me on my lunch bread when I was in College! Stephanie Guerin from Adare Farm was also here selling fresh corn on the cob from the crop planted to feed hungry farmers at the ploughing championships. It was available au-natural or as vacuumed packed cobs for freshness! Keeping on the Fresh Veg track there was an amazingly wide selection of Veg from the Lough Boora Farm Organic Vegetables stand. This is a very innovative organisation who offers a shopping basket service allowing customers to order their veg and collect it in lovely wicker baskets all ready to go. The baskets are returned and reused! For more information on this great idea contact Tony Garahy on 086-2668217. Across the courtyard lay some treats of a sweeter nature! Firstly I visited Fran Dowling on her Fruit and Nut Bakes stall. With both sweet and Savoury items on offer from raspberry and almond bakes to sundried tomato pesto and feta slices! Right next door was the familiar face of David Mc Caffrey from Sallymills Bakery, I had met David before at Limericks Milk Market, He had his usual amazing selection of cakes and treats on offer including delicious carrot cake ( one of my personal favourites ) Sallymills won a Gold medal for confectionary in the recent Blas na hEireann Food Awards so the quality of their products is plain to see. For those looking to top up on their omega oils Stephen Joyce was on hand with a selection of fresh fish and Shellfish and with Ling and Pollock Fillets for only €10 per KG it was a busy day for Stephen, who by the way will prepare your fish for you so it is pan, oven or grill ready! I saved the Wilde Irish Artisan Chocolate Makers Stall for last! 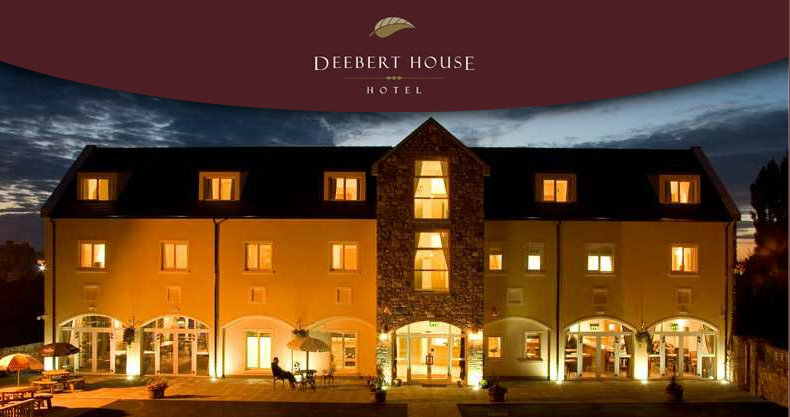 Based in Tuamgraney in Co. Clare ( Near Scariff ) near the shores of Lough Derg. They offer a wide selection of products and their fair-trade and organic bars have won awards at the Great Taste Awards. Also selling almost every kind of fudge you could think of from Pistachio to Porter! You are sure to find something to your taste! Some of the regular stalls like Ginger Girl were not there today (She’s busy with Wedding preparations!) but event the weather could not dampen the feeling that it Is initiatives like this that will keep the Irish pallet used to the better things with great value and fresh products sold in a great atmosphere! This will also be the location for a Craft fair on the first 3 Tuesdays of December with Craft Irems from Local Craftspeople UL Staff and Postgrads. Volunteers for Irish Guide Dogs for the Blind will be selling the charity’s stunning 2010 Calendar and Christmas Cards in Limerick’s Parkway, Crescent and Jetland Shopping Centres during November. The charity invites Limerick residents to support their Christmas fundraising drive. Their 2010 calendar features stylish photographs of their guide and assistance dogs in training while their cards feature some of their puppies and is the perfect Christmas Stocking Filler. 14 & 28 November, 4 & 5 December. Breeda Clancy on 086 819 3165. • Co- founded in 1976 by the late Mrs Mary Dunlop and current President, Mr Jim Dennehy. • National Headquarters and Training Centre in Model Farm Road, Cork with offices in Tuam and Dublin. 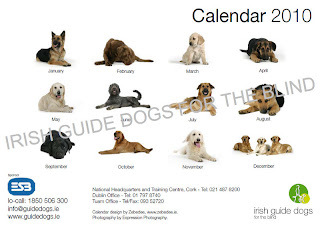 • Currently, there are 171 working guide dogs in Ireland. • In 2008, work commenced on the €4,5 million redevelopment of the Headquarters in Model Farm Road and Training Centre aimed at increasing the organisation’s capacity to provide services to an increased number of clients. The project concludes in October 2009.